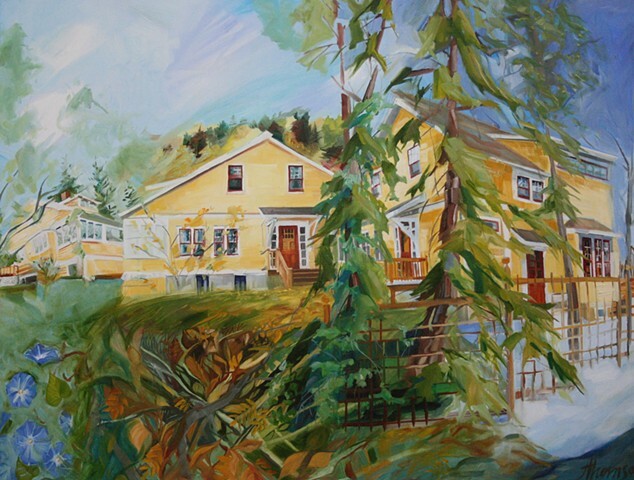 "Having seen Jill’s paintings featured in and around our city, we became interested in her work. In meeting, we really enjoyed that she was as enthusiastic as we were, and that we were able to join together in how we wanted our home portrayed. She had a thoughtful approach to what we wanted and we think she captured it perfectly, including the four seasons that our home has cycled through for 100 years, since the south side was known as Strathcona. What we weren’t expecting is that her painting has given us a renewed appreciation for our home. It’s really wonderful to have someone with Jill’s talent living and working in our community. Thank you Jill!"